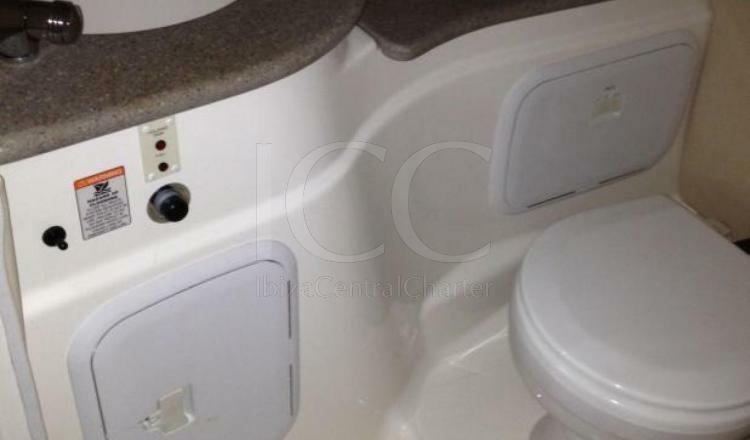 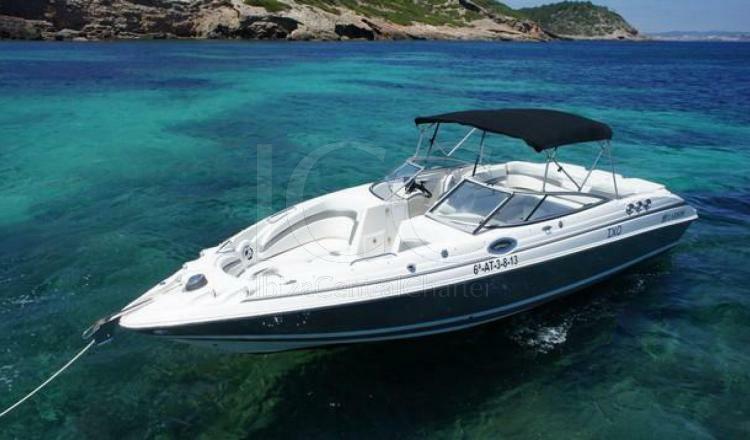 The Larson LXI 288 motorboar is perfect to enjoy the Mediterranean Sea in the company of friends or family during a day of your vacations. 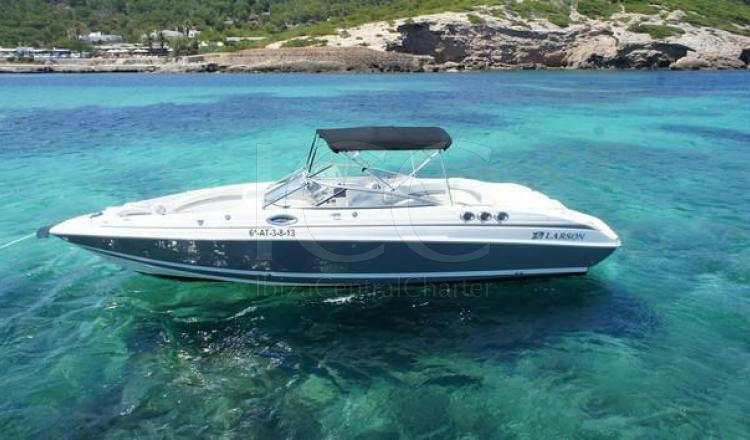 This sport boat with almost 9 meters of lenght offers space for up 12 people, perfect for a day charter discovering the Pistiusas islands. 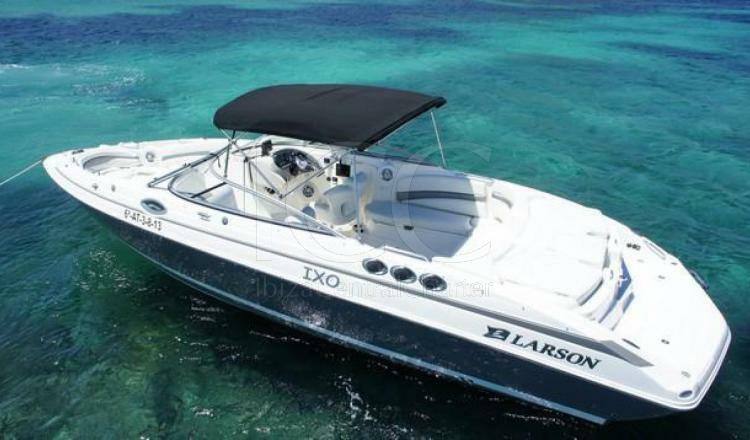 The Larson LXI 288 offers very good behavior during navigation, is very safe and surprising its easy handling and good maneuverability. 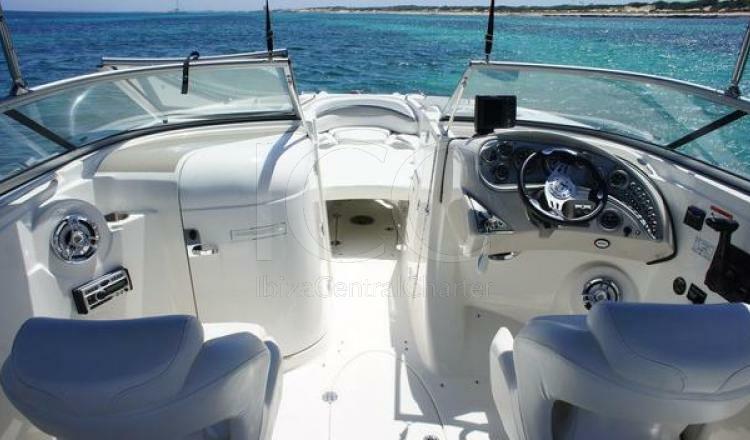 During the anchorage it becomes a really comfortable motorboat in which to spend a day of your holidays thanks to its bow solarium, its bimini to protect of the sun, and its bath platform. 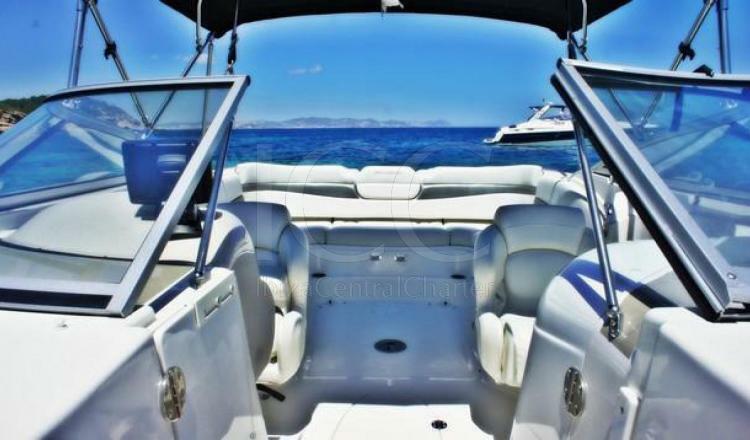 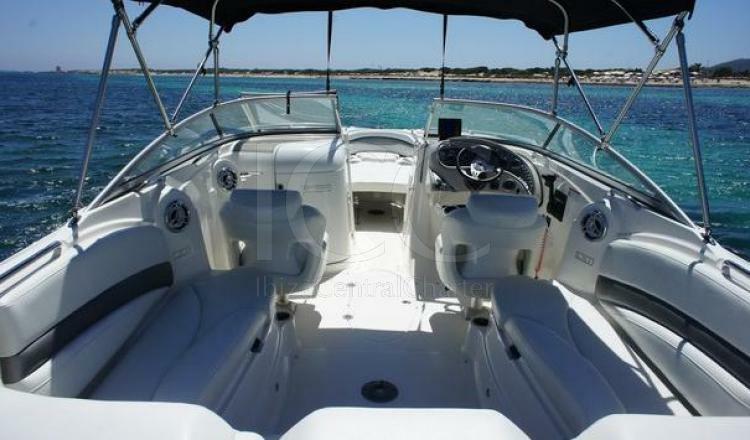 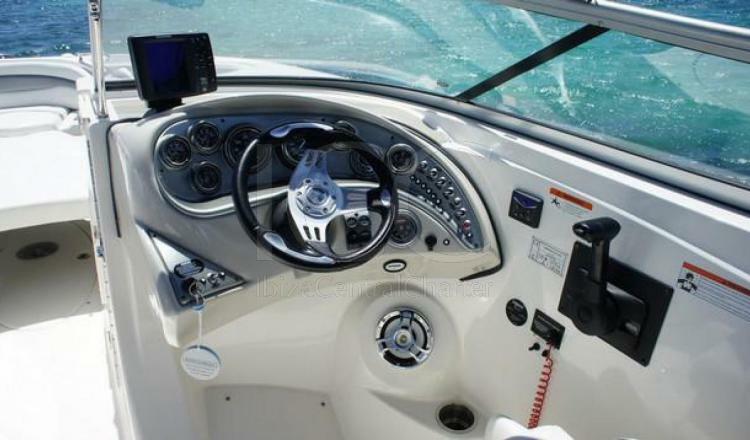 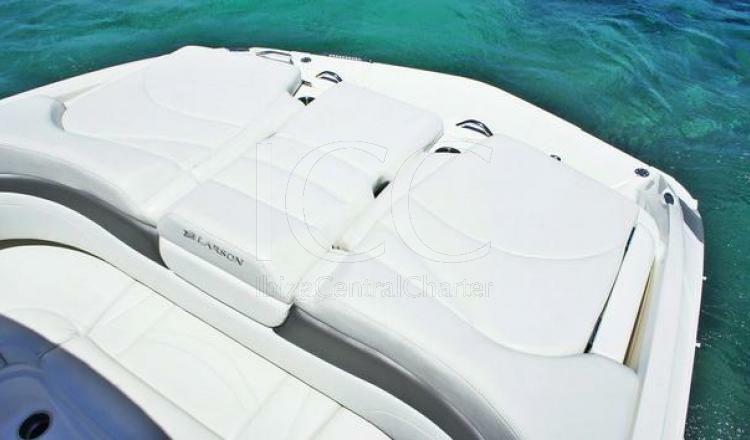 Equipped with a powerful 420 hp engine, ideal for fast shifting between beaches is an advantage to be able to get to know Ibiza and Formentera to the fullest, and thanks to its reduced draft it is possible to get very close to the sand and rocks, where boats of greater length do not reach .